I think I’m good at drawing! Let’s team up to make a comic!! MediBang Paint and MangaName, both let you upload your files to share with your group members. When you come up with an idea, use it as a plot for your comics. Anytime, anywhere, there’s no need to choose a place to draw a comic draft as long as you have ‘MangaName’! 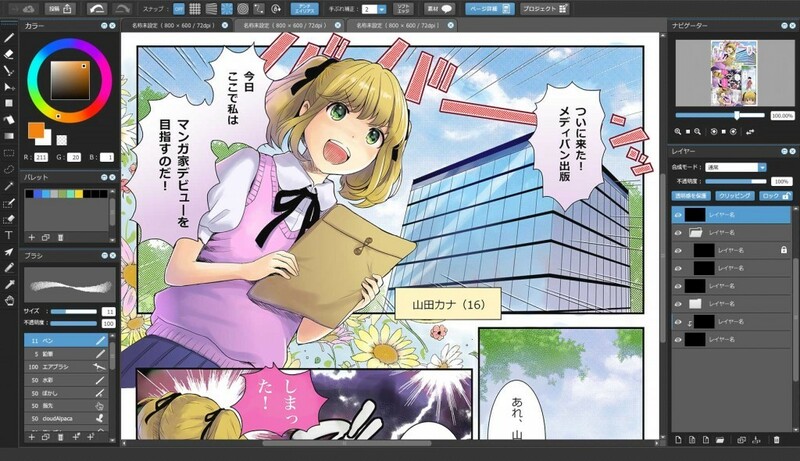 ②Use stickers to create a comic draft. MediBang Paint’s tones and patterns help give your black and white comics some extra flavor. ②Put on the finishing touches. MediBang Paint and MangaName are completely free, so there’s no reason not to try them out.